Lemon Biscuits ...and other literary crumbs: My Very Own "How I Got My Agent" Story! My Very Own "How I Got My Agent" Story! Did I really just get to type that sentence?! Still, there was a hope...maybe someday. A few years later, and I still had my someday dream. The desire to write wouldn't leave me alone, and neither would my amazing husband who nudged and encouraged me to actually do something about it. So I enrolled in a writing course from the Institute of Children's Literature. I learned a lot about the basics of good storytelling, but most importantly, I learned what comes after you write the story: Querying. Suddenly, the path to publication didn't seem so mysterious. It started to feel less like a pipe dream, and more like a possibility. Especially when I got my first acceptance letter for a short story I'd submitted to a children's magazine. But could I really go from short story, to full length novel? 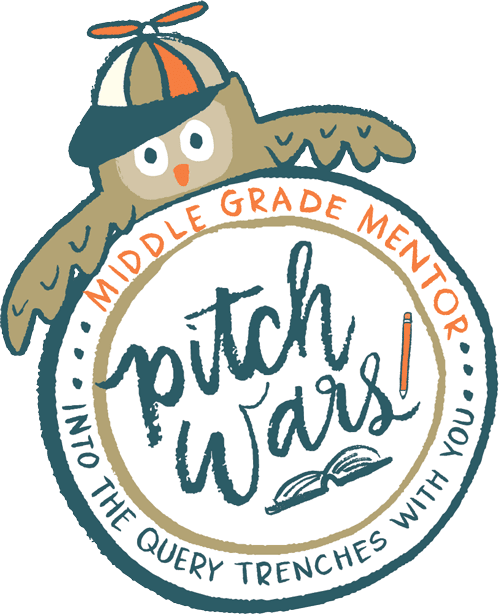 ...earn me a spot as a mentee in Brenda Drake's 2015 Pitch Wars contest. My amazing mentor, Kara Seal, helped me make FOLLOW ME even stronger. I got a handful of requests in the Pitch Wars agent round, but it would be the slush pile that would finally land me an agent: the ever-so-lovely Marietta Zacker of the Gallt-Zacker Literary Agency! Marietta had actually read FOLLOW ME almost two years ago when it was still...well, let's just say "in progress." (AKA it was a hot mess, but Marietta's encouraging words spurred me to take it from "almost there" to "By George, I think she's got it!") After Pitch Wars, I queried her again with the revised manuscript, and I'm SO glad I did! From our very first conversation, I knew that having Marietta as my agent would mean having an incredible champion in my corner. I feel very fortunate to have found such a great match; someone who is passionate about my stories, loves my characters as much as I do, and is excited to help me build my writing career. The road here has been filled with highs and lows, plenty of rejections, tears, frustrations, and triumphs. Not to mention countless hours of rewrites, edits, and revisions (and a fair share of both pity-party and celebratory ice cream). I have gone from optimistic and sure of myself one day, to depressed and feeling like the worst writer ever the next. There were times I wanted to quit, but thankfully I have a community of family, friends, and fellow writers (and, of course, those pesky characters demanding their stories be written) who wouldn't let me. If you require further convincing, check out this blog post I wrote while I was in the midst of writing FOLLOW ME (and pretty convinced it was going nowhere): The Day I Almost Quit.